CONCORD, NH (Nov. 22, 2017) - The Greater Concord Chamber of Commerce announces that applications for the spring 2018 Capital Area Student Leadership (CASL) program are now available. CASL is open to high school sophomores who reside in and attend school in the Greater Concord area (please see the application at concordnhchamber.com/CASL for eligibility and participation requirements). A long-standing component of the Chamber’s Business & Education Partnership, CASL encourages students to become active, effective participants and future leaders in their schools and communities through exposure to historical, cultural, environmental and civic aspects of the Greater Concord area. CASL has graduated more than 650 sophomore representatives from a dozen area high schools over the past twenty-four years. Beginning with an orientation on March 5, 2018, CASL comprises three session days in March, each focusing on an important topic in the community. 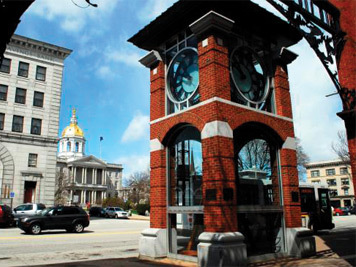 Utilizing Concord and surrounding towns as its “classroom,” the program provides first-hand knowledge and opportunities for dialogue with established leaders. Through field trips, hands on experiences and teacher facilitated discussions, the students gain special insight into the functioning of a working community. The CASL steering committee seeks sophomores with leadership potential and those who are likely to assume greater community responsibility in the future. A selection committee will review applications and visit the schools to conduct interviews of prospective participants. The application deadline for the 2018 program is Monday, Dec. 11, 2017 at 5 p.m. To download an application, please go to concordnhchamber.com/CASL or call the Chamber at (603) 224-2508. 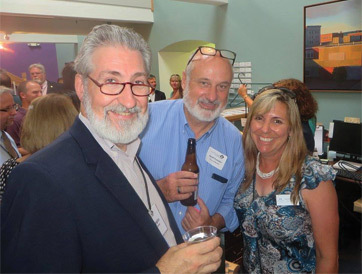 The Greater Concord Chamber of Commerce develops economic opportunities, strengthens the business climate and enhances the quality of life in the Capital Region. For more information please visit concordnhchamber.com.